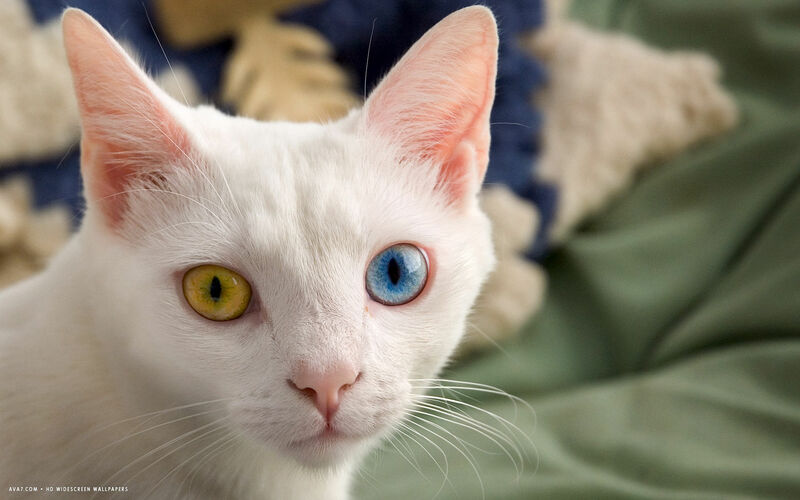 The Khao Manee is a striking breed of cat celebrated for its brilliant white coat and unusual mismatching eyes. Its name means ‘White Gem’, and has origins in ancient Thailand where it was famed for its unearthly beauty. The first reference of the Khao Manee appeared in the Tamra Maew, a celebrated manuscript of cat poems created in 1350. 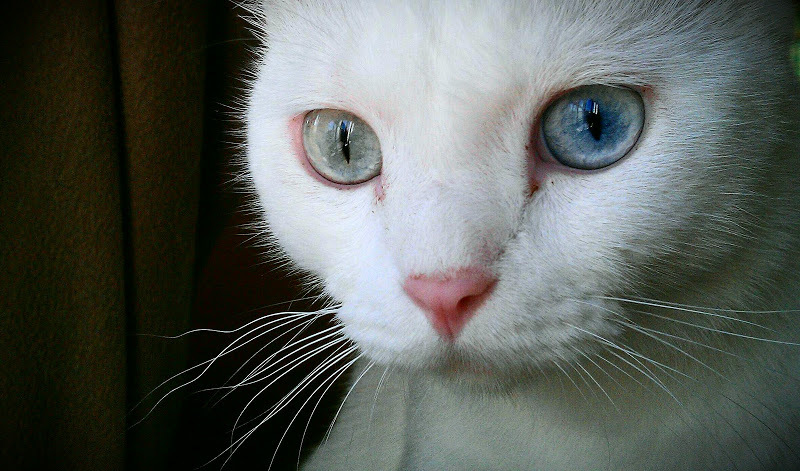 Called by its other name, the Khao Plort, which translates literally to ‘all white’, the text claims the regal cat brings ‘long life and title’ to the household it called home. Until recently, breeding of the Khao Manee was restricted to the Thai royal family. King Rama V in the late nineteenth century was one of the most notable royal cat lovers and was a strong proponent of the breed, along with the Siamese. The Burmese, Siamese and Korat are three other closely related breeds native to Thailand well known to the West. The Khao Manee however was kept for centuries as a closely guarded secret. So revered is the breed, its history is still taught in Thai schools. 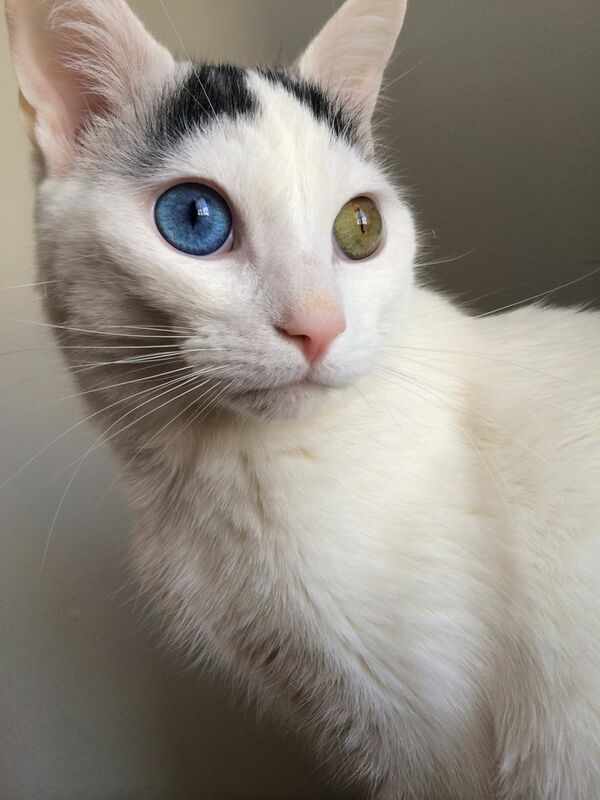 The ‘perfect’ Khao Manee has odd-coloured eyes. In such cases, one eye is usually blue and one eye amber or green. 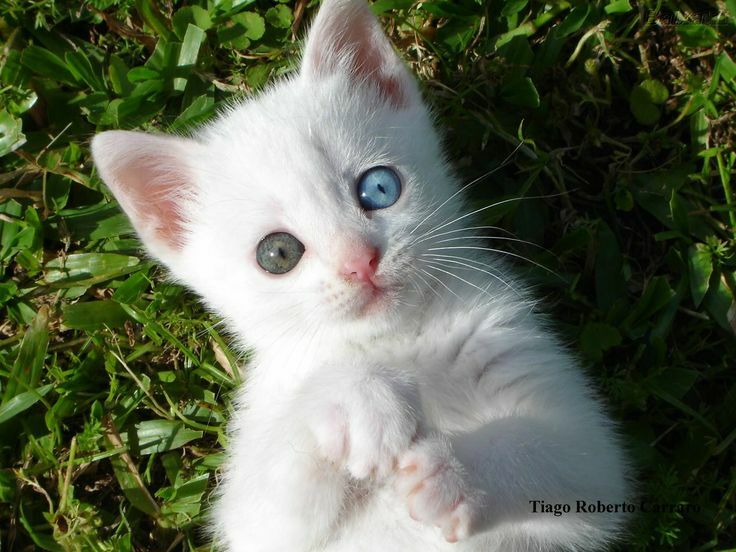 Kittens with matching yellow or green eyes are also typical of the breed. All Khao Manee have pure white coats, however at birth some kittens have a small dark mark on the top of their heads. This mark disappears when they reach approximately one year of age. In 1999, ‘Sripia’ was the first known Khao Manee to travel outside of Thailand. Colleen Freymouth imported her from her homeland to the US. She subsequently imported a male to produce the first Khao Manee litter born on foreign soil. As numbers of the unusual cat have been falling in their native land, Western breeders are now an important part in ensuring the cat breed does not become extinct. Khao Manee are known for being intelligent and mischievous cats. Like other Asian breeds, they are vocal cats and like to ‘talk’ to their owners a great deal. They can also be quite mischievous – and as their history as the cats of royalty suggests – require a high level of attention from their humans.